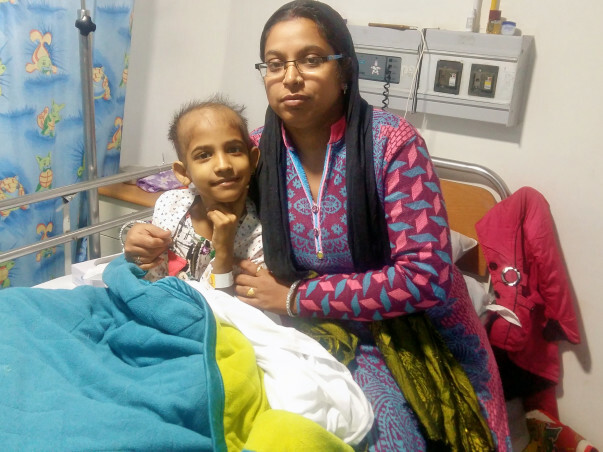 For the last few months, 7-year-old Vanshika, daughter of Sanjay Garg has been diagnosed with a severe form of cancer called Myeloid Leukemia. The only treatment for this cancer is chemotherapy which costs around 10 lakh Rs. Unfortunately, Sanjay cannot afford this and needs our help to save his daughter. I am thankful to all of you for the immense support. Unfortunately, I have some bad news to share. We lost Vanshika as a result of relapse of cancer. I thank all of you once again. Please pray for her soul to rest in peace and for her family as they go through this tough time. Thank you for the love and support you have shown towards Vanshika Garg. 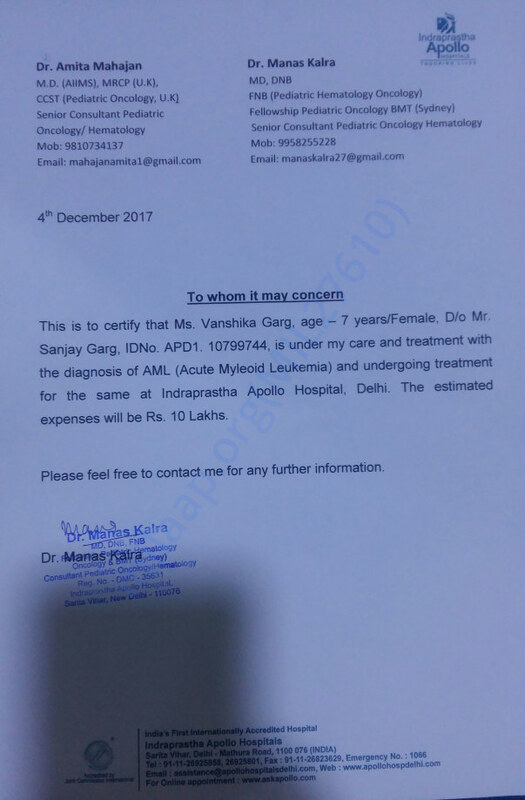 Unfortunately Vanshika cancer has relapsed. She was taken to the hospital so that doctors can track her health. As of now, the family has opted for palliative care. She is responding well to the treatment at the moment and she is given blood and platelets as and when needed. Thank you for the wonderful support that you have shown towards my daughter Vanshika. She is doing better now compared to earlier. She has successfully completed all the chemotherapies until now. The doctors have advised for regular tests and follow-ups once a month and they will suggest the future course of action based on her health and the reports from the tests. At present, they suggest that she will not be requiring a bone marrow transplant. Thank you for the wonderful support. Please do pray for her health and speedy recovery.